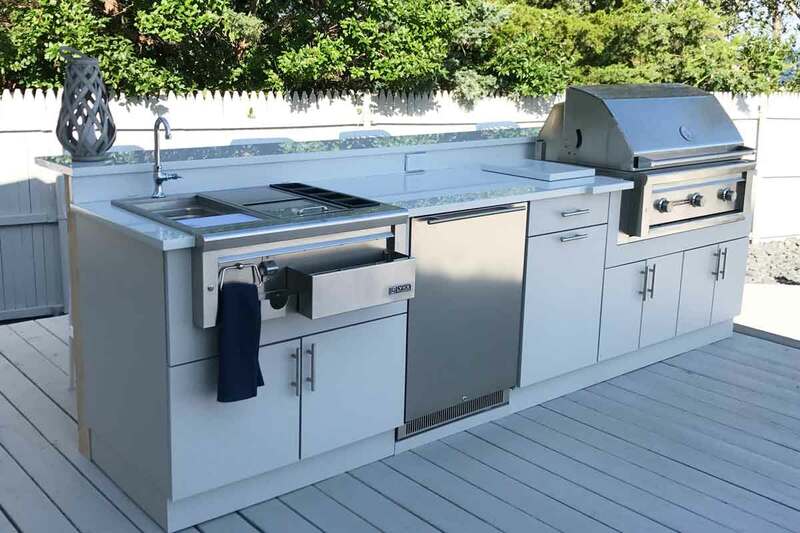 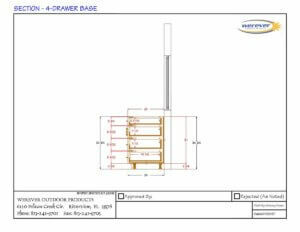 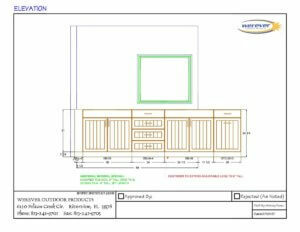 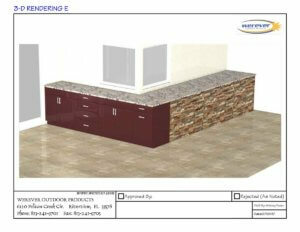 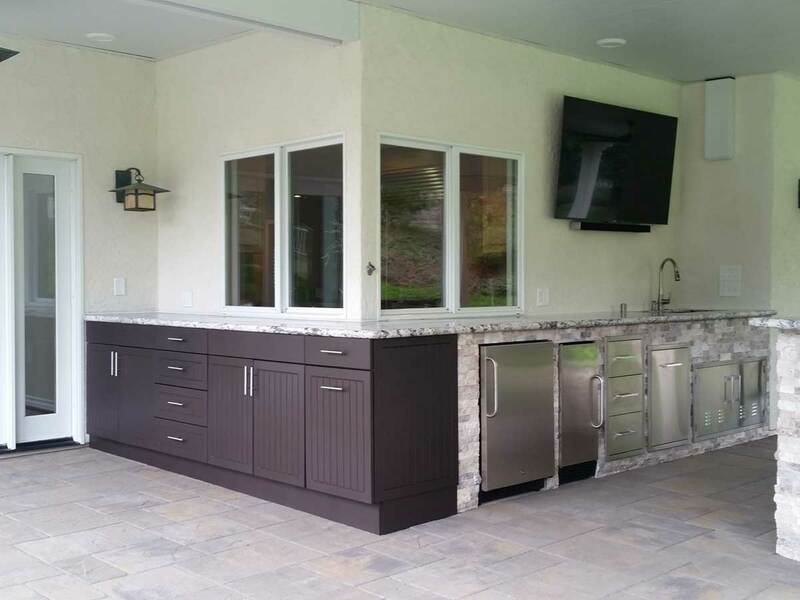 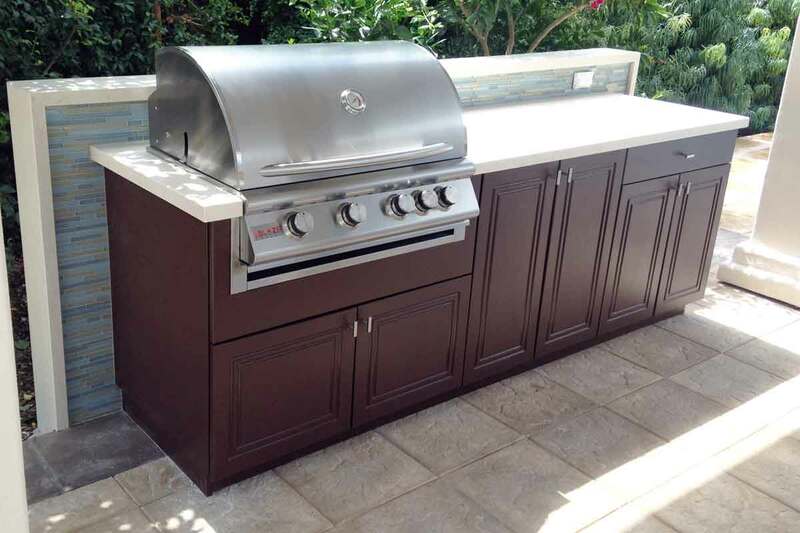 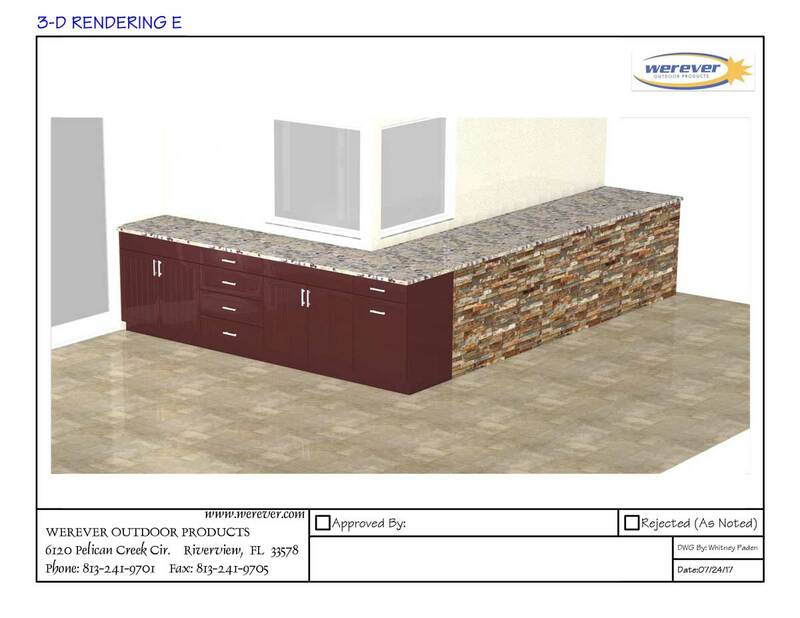 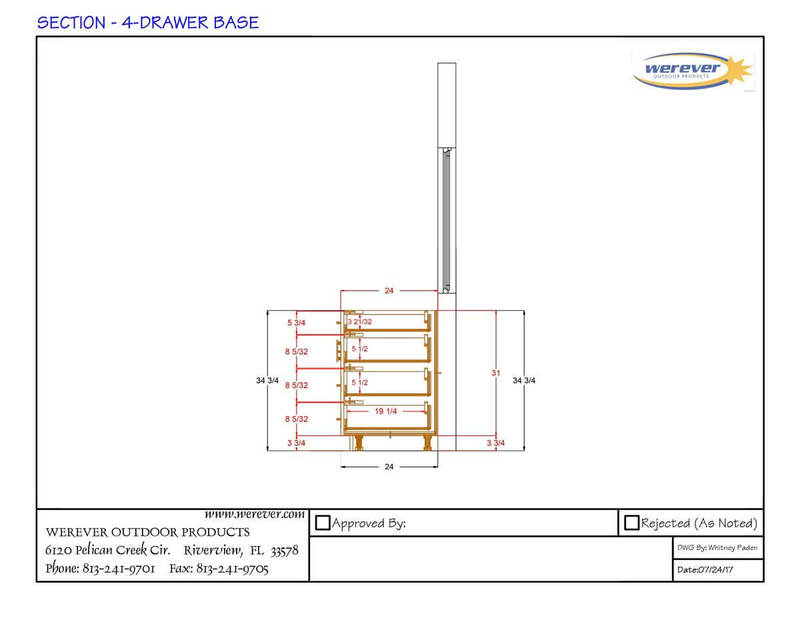 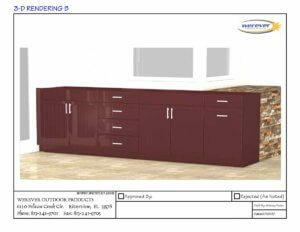 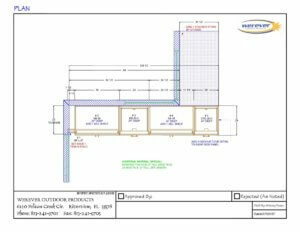 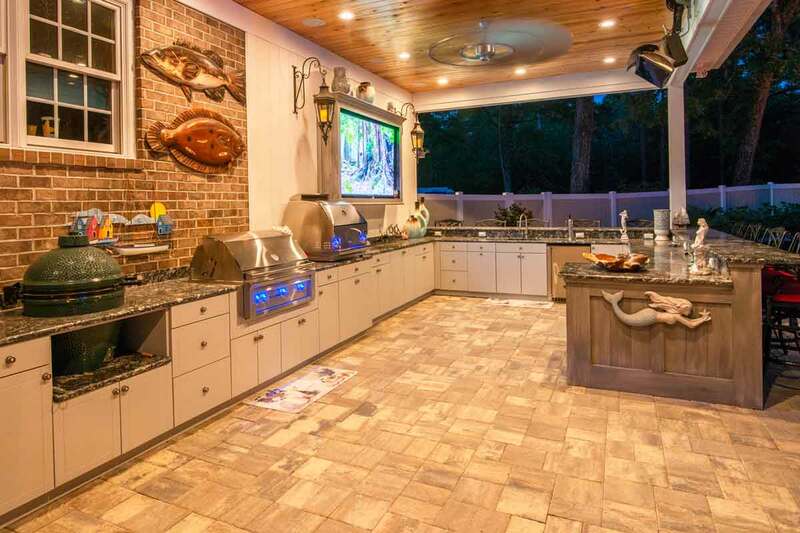 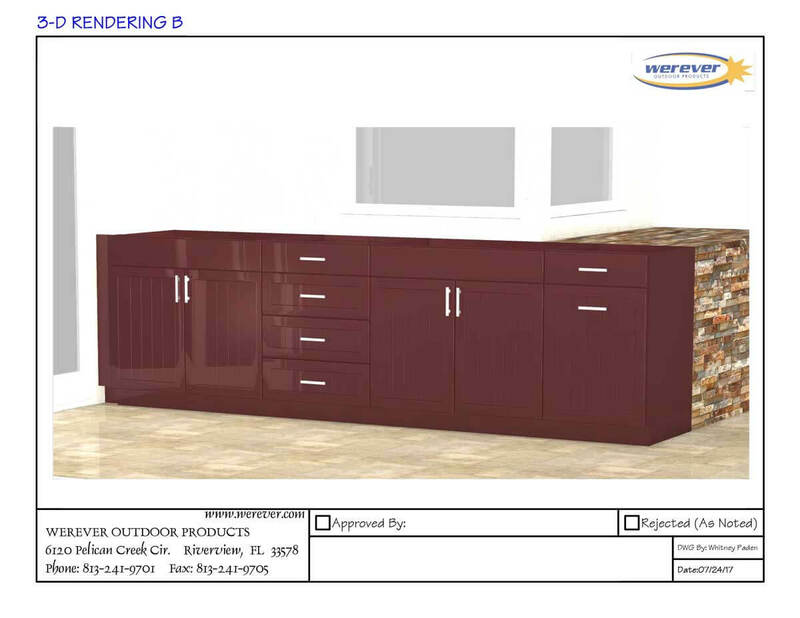 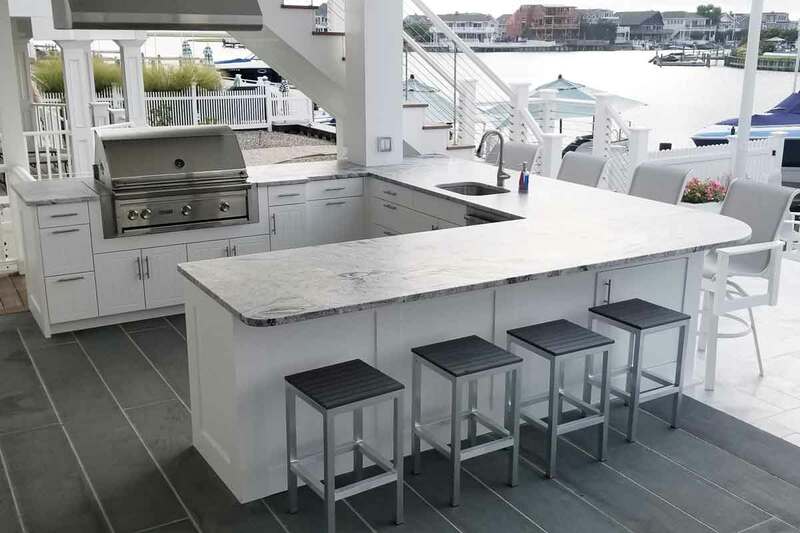 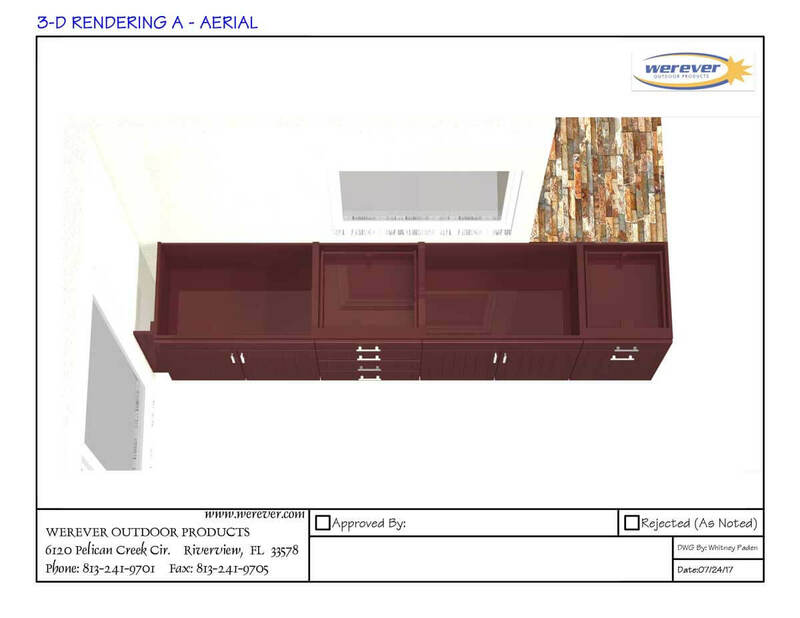 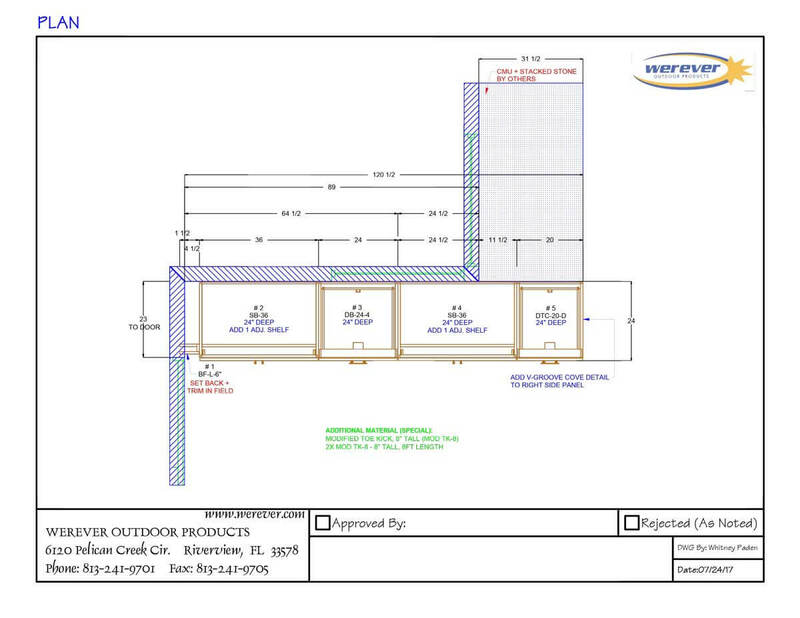 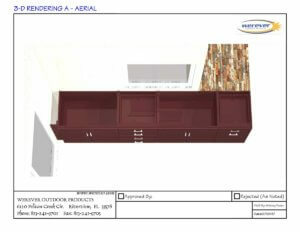 Werever Cabinetry was planned in combination with a masonry structure by request from the client. 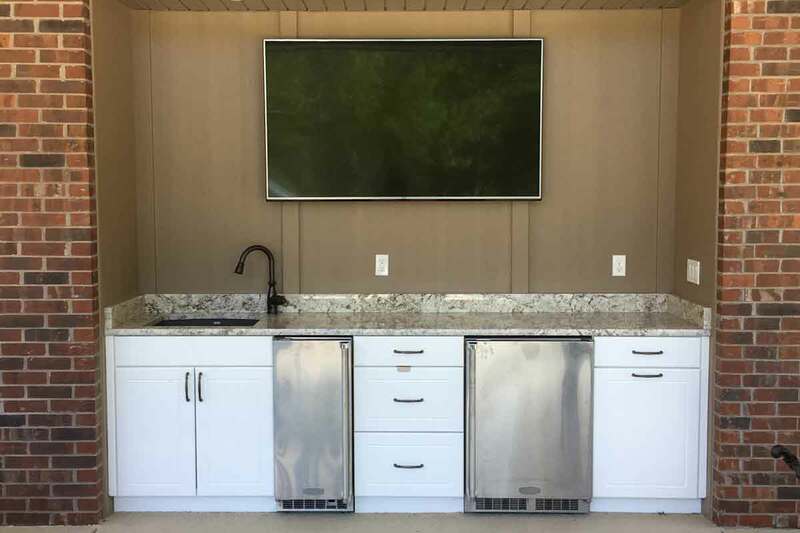 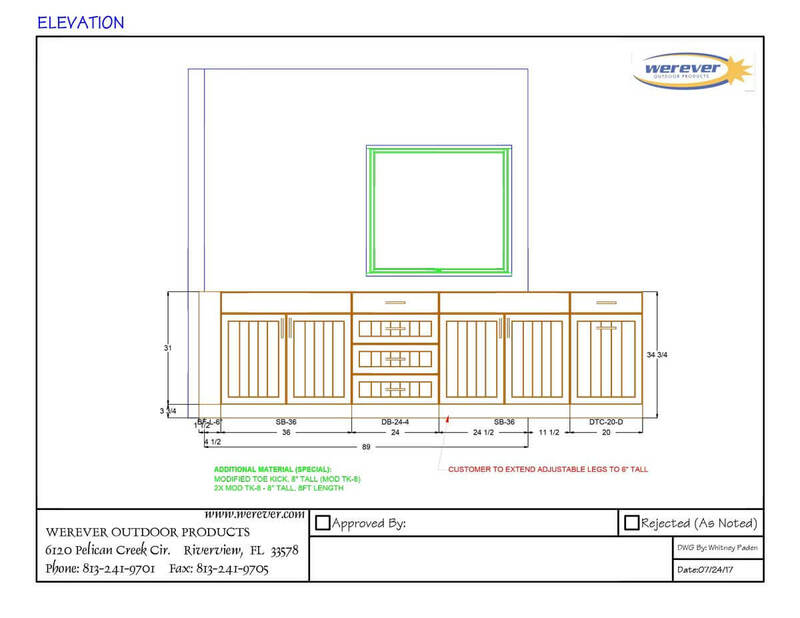 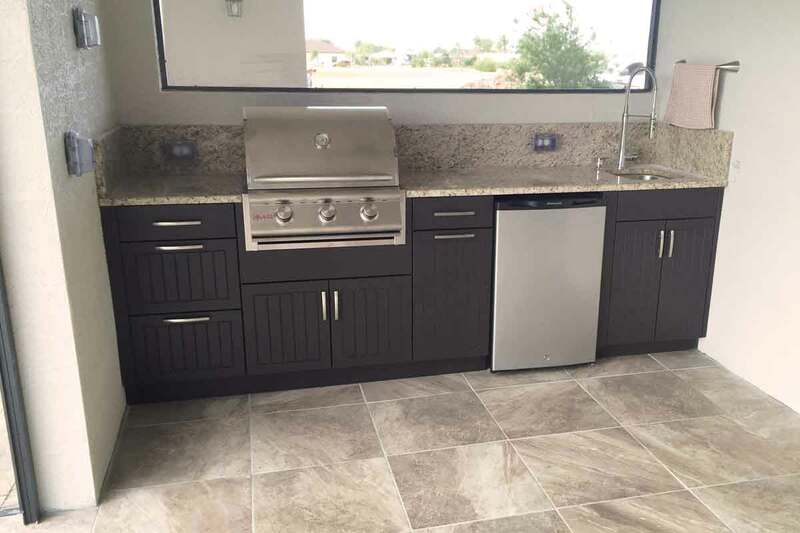 Werever cabinetry provides enhanced storage in the form of doors and drawers, and a convenient double pull-out trash cabinet was planned at the corner near the bar area, keeping waste out of sight. 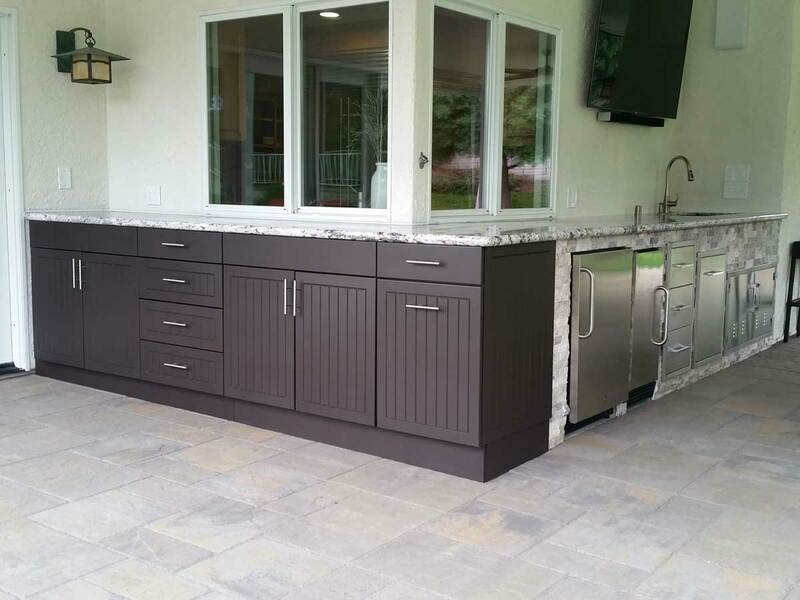 Our V-Groove Cove Detail was added to the finished cabinet side panel to continue the aesthetic of the client-selected door style, attractively finishing the end of the run. The dark, Espresso color contrasts nicely with surrounding light-colored finishes, while complementing other dark elements in the space including light fixtures and outdoor furnishings.